As if things weren’t strange enough this political season, activist, performance artist and perennial political candidate Vermin Love Supreme announced on his Facebook page that he was leaving the Democratic Party to seek the nomination of the Libertarian Party. I am renouncing my membership in the Democratic Party. 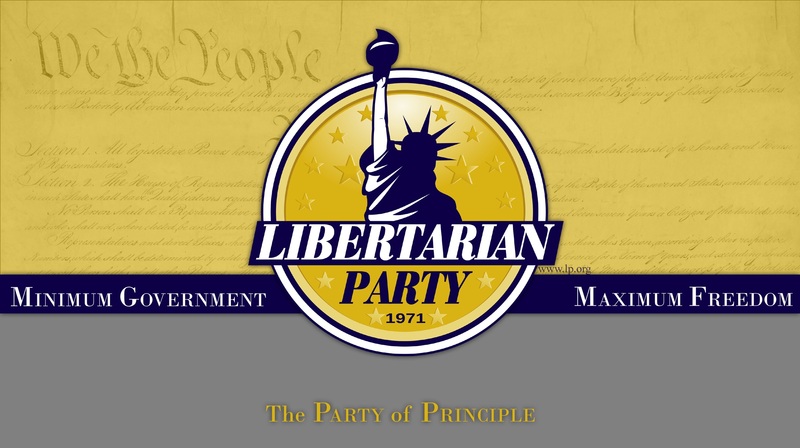 International Students For Liberty Conference in DC, I am now actively seeking the nomination of the Libertarian Party. I look forward to my exclusion from their debates. Vermin Supreme is known for his political activism spanning many decades. At times he has been a self-described anarchist who became disenfranchised with both the Republican and Democratic Parties. Although he has campaigned as a Democrat, some of his views on mutual aid are in line with those of the Libertarian Party. 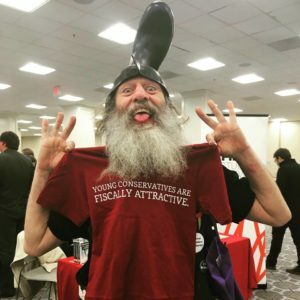 The prankster made a splash at this year’s International Students for Liberty Conference in Washington, D.C. Vermin posed for numerous pictures with attendees and social media is abuzz with the announcement. Until more about this surprising transition is announced, Libertarian favorites and serious candidates like Austin Petersen, Gary Johnson and John McAfee will likely get more attention.